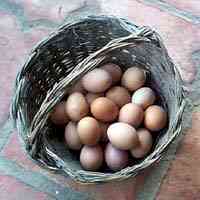 Home » History of eggs – Where did eggs come from? When did people start to eat eggs? 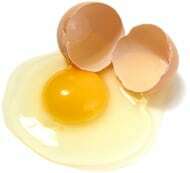 People have been eating eggs since there first started to be people, about six million years ago. Eggs have a lot of protein in them, and they don’t fight back – you can get them just by climbing to where the nest is and picking them up. When did people start to keep chickens? 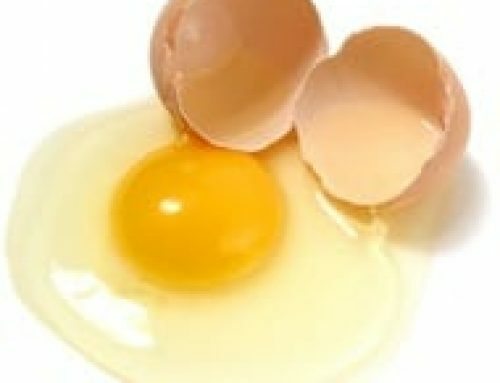 By about 7000 BC, people in China and India were keeping chickens and eating their eggs, so they didn’t have to go hunting for wild bird eggs anymore. Chicken eggs didn’t reach West Asia, Egypt, or Europe until about 800 BC, or even later, and people in southern Africa didn’t start to eat chicken eggs until about 500 AD. Before that, Europeans and West Asians kept ducks and geese for their eggs. 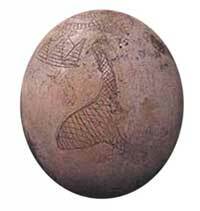 About 300 BC, chicken farmers in both Egypt and China worked out ways to incubate chicken eggs in warm clay ovens, so that they didn’t need to have hens sit on their eggs to hatch them, and instead the hens could lay more eggs. (Did they get the idea from their beehives and honey farms?) This factory system made chicken eggs cheaper, and more people began to eat them. All through antiquity and the Middle Ages, right up until modern times, chickens only laid eggs for part of the year – mainly in the spring, when there was plenty of daylight but it wasn’t too hot out. That’s why we have Easter eggs and the egg on the Seder plate – to celebrate the return of eggs in the spring. A lot of traditional egg recipes call for other foods that are in season in the spring, like chives or asparagus. How did people cook their eggs? At first people ate their eggs raw, but once people began to use fire, about a million years ago, they often roasted eggs in the coals. With the invention of pottery, about 5000 BC, boiling eggs gradually became more common. In ancient Rome, hard-boiled eggs were so common as an appetizer that people said “ab ova ad mala”, from eggs to apples, meaning from the beginning of the meal to the end, or from start to finish. People also began to use eggs in breads, cakes, and custards. Eggs would keep for only about a month before you had to eat them. To make them keep longer, people would often pickle eggs in salt water and vinegar. 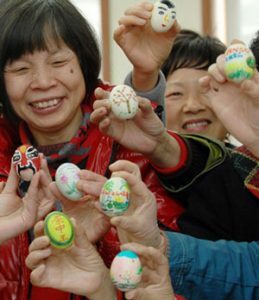 In China, people fermented eggs to make them keep longer. 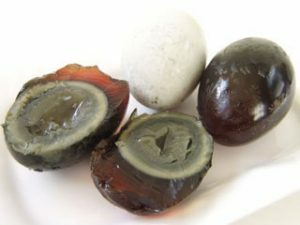 They called this “thousand-year-old eggs” but they are really only a few weeks or a month old. Cite this page: Carr, K.E. History of eggs – Where did eggs come from?. Quatr.us Study Guides, June 22, 2017. Web. April 23, 2019.